(NaturalNews) In case you didn’t already know, everything is rigged these days, meaning it’s contrived, fabricated or distorted to fit an official narrative that feeds a nefarious agenda. The Zika virus hysteria is no different: it was all engineered from the start for a specific purpose, and this article explains exactly what’s really behind the Zika pandemic and why it’s being pushed so aggressively by globalist governments nearing collapse. First, a little background that you won’t get from any mainstream news source. The Zika virus has been around for more than 70 years, and it was originally harvested, isolated and turned into a research product by none other than the Rockefeller Foundation, the same globalist cabal of medical criminals who sought to destroy alternative medicine and grant western chemical medicine a monopoly over society. Secondly, the Zika fear factor has been wildly overblown by the media for a specific political purpose that I’ll reveal later. In reality, Zika virus is almost completely harmless to nearly everyone. This conclusion was reached by the CDC using epidemiological statistics, not rigorous scientific studies of cause and effect. In other words, the CDC observed that women in regions of South America that hosted Zika-carrying mosquitoes were suffering from microcephaly in their newborn children. From this, they concluded a cause-and-effect relationship between Zika virus and the developmental deformities. What they failed to recognize, however, is the presence of the dominant cause: All these same areas were also being sprayed with highly toxic larvicide chemicals that work by interfering with the nervous systems of insects. Those same chemicals, when ingested by pregnant women, also cause neurodevelopmental deformities in human children. This doesn’t mean that Zika can’t also cause microcephaly in rare cases, but Zika is likely to be only a minor factor that’s far outpaced by the causative factor of larvicide exposure. The larvicide chemical in question is called “pyroproxyfen,” and it was dumped into the water supply by the Brazilian government, which is a government in a state of accelerating collapse. As any informed person will note from human history, when governments are on the verge of collapse, they deliberately create large scale crises that convince the people they need government to rescue them. See that? Even though the warnings say “avoid release to the environment” and “very toxic to aquatic life,” the government of Brazil decided it would be a genius idea to dump it into the water supply. This is the level of incompetence and criminality now demonstrated by all governments of the world, where populations are routinely subjected to mass chemical poisoning as part of a deliberate scheme involving a combination of depopulation and population control agendas. The substance may have effects on the blood and liver. This may result in anaemia, impaired functions and tissue lesions. The substance is very toxic to aquatic organisms. Bioaccumulation of this chemical may occur in aquatic organisms. The substance may cause long-term effects in the aquatic environment. Avoid release to the environment in circumstances different to normal use. 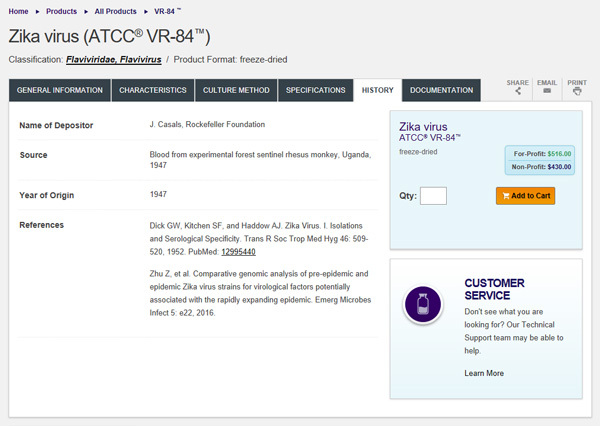 Guess who owns the patent on this insecticide, awarded in 2014? The more you understand about the way the globalist system of corporate-government fascism really works, the easier it is to grasp the real agenda behind Zika hysteria. Because if you look at who owns the patents on pyriproxyfen formulas, you sooner or later stumble across this patent awarded in 2014 to none other than BAYER CROPSCIENCE in Germany. In other words, the very same chemical company that took part in the chemical genocide of Jews was just awarded a patent on a chemical cocktail that uses pyriproxyfen, the same chemical that was dumped into the water supply immediately before women suddenly started giving birth to deformed infants. Are you starting to see the real picture yet? What you are witnessing with Zika propaganda is nothing less than the latest chapter of globalists’ chemical warfare against humanity. In 1939, it was done with large gas chambers and railroad cars full of imprisoned Jews. In 2016, it’s pulled off with mass media, staged pandemic hysteria and a complicit CDC run by quack science criminals. What’s also revealing about all this is that Zika virus has been around for seven decades, and it has infected up to 75% of the populations in some countries during those decades. And guess what? No increase in microcephaly has ever been documented from Zika infections alone. In other words, the only thing that recently changed in all this was the dumping of insecticide chemicals into the environment. These “extremely toxic” chemicals suddenly set off a wave of neurodevelopmental deformities. The globalist agenda is now set in motion. Birth deformities can now be blamed on a mosquito and used to justify the release of more chemicals into the environment. While the rest of the world awakens to the damaging effects of pesticide pollution, officials in the U.S. are working to allow more pesticides into our water supplies. The House of Representatives voted Tuesday to loosen already weak pesticide regulations in a purported effort to combat the spread of the Zika virus. The latest version of the bill is called the Zika Control Act. The U.S. is on the verge of a Zika pandemic that may soon require extreme measures, including aerial pesticide spraying. You’re going to hear this line over and over again, across the rigged mainstream media. They’re going to mercilessly hammer Zika fear into your head, repeating outright lies and disinfo by the hour, until the ignorant population of sheeple demand to be doused in chemicals. But the real “genius” of all this is that the spraying will unleash yet more birth defects, which the mainstream media will use to ratchet up the apparent “pandemic crisis” and demand even more spraying. The globalist “solution” to Zika, in other words, will cause a whole new wave of birth defects and brain deformities. And all the heartbreaking imagery of those children will be splattered across the news 24/7 while genocidal lawmakers in Washington vote to end restrictions on the mass spraying of both urban and rural areas with the very same chemicals that cause mass deformities in children. What we are witnessing here is thalidomide on steroids, and almost everything you’re being told about it is a complete medical hoax. The “official sources” must keep up the official narrative, though, because really big lies require repeated propaganda assaults on the human psyche. Remember: The same lying, discredited media that tells you vaccines harm no one, GMOs are awesome and Hillary Clinton cares about children is now telling you that Zika mosquitoes alone are causing microcephaly. By the way, if all this sounds a little too familiar, it’s because the measles and mumps vaccines have been spreading measles and mumps for decades. When outbreaks occur, the media incessantly blames the lack of vaccines for the outbreak (even though almost everyone involved in the outbreak has already been vaccinated). The sheeple masses then rush out to get vaccinated, ensuring the next round of the vaccination-outbreak cycle upon which the entire vaccine industry depends. 1) Create widespread hysteria with false claims of pandemic origins. 2) Use the hysteria to push vaccines or chemicals. 3) Wait for the vaccines or chemicals to cause yet more outbreaks. 4) (Brain)wash, rinse and repeat. And yes, everybody is in on this: the CDC, the drug companies, the chemical conglomerates, the lawmakers and even government-funded “scientists.” They’re all in on it because they all get more grants, more sales, more money and more prestige when they can been seen as “fighting for humanity” in the “courageous effort” to “end a pandemic” that they actually started. 1) Massive aerial spraying will be unleashed on American cities like Miami. 2) A huge new wave of birth defects will result from the chemicals. These will be paraded on the evening news with heartbreaking imagery and video of deformed babies. 4) The government will respond by pumping a few billion dollars into Zika vaccines while ramping up aerial spraying of more cities. 5) Once the Zika vaccine is ready, it will be mandated across selected cities and regions, and anyone who refuses the vaccine will be shamed and ridiculed. 6) The eventual Zika vaccine will be weakened to include a few live Zika viruses, thus ensuring the continued spread of Zika. 7) Everything will get ratcheted up: Expanded aerial spraying of more cities, expanded vaccine mandates, and a rapid increase in birth defects. The whole point is to create a crisis in which the sheeple are led to believe they need government to protect them. What they rarely come to realize is that government created the entire problem to begin with. This is the cold, hard truth of how our rigged world really operates today. And anyone who demonstrates any ability to think critically about Zika or any pandemic will be labeled a “danger to society” because you refuse to be injected with their experimental vaccines or subjected to their chemical dousing. Any expression of scientific rationality, reason or skeptical thought will be punished or even criminalized as the Zika hysteria balloons. We live, after all, in a scientific dictatorship where real science is censored to make room for all the politically motivated fake science that pushes these anti-human agendas. Above all, remember: From the point of view of every totalitarian regime, science is a weapon of control to be deployed against the people. Science is never allowed to be free or factual. All science is controlled, contrived and distorted to serve the interests of the state. Posted on September 1, 2016, in ConspiracyOz Posts. Bookmark the permalink. Leave a comment.